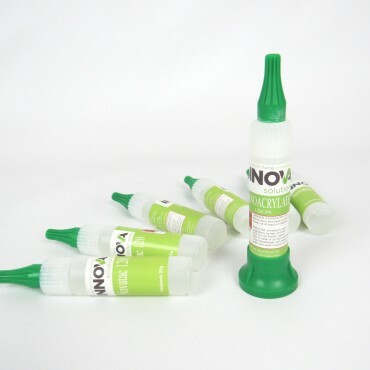 NovaTac 120 is an advanced surface insensitive cyanoacrylate formulated to provide high tensile and shear strengths on a wide variety of substrates. This single component adhesive has an active cure mechanism, which when pressed into a thin film between two surfaces, will cure almost instantaneously to form a rigid thermoplastic. Due to the surface insensitive nature of NovaTac 120, it also maintains a rapid fixture time on acidic surfaces such as wood, leather and dichromated metals. Stored unopened in a cool dry location, out of direct sunlight. 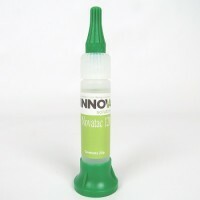 NovaTac 120 can offer a 12 month shelf life from manufacture. 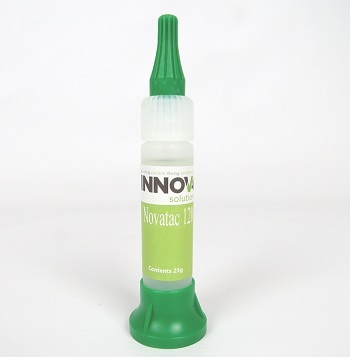 NovaTac 120 is an ethyl cyanoacrylate, and can bond skin and eyelids in seconds, please review our MSDS download containing information regarding the use, Transport, Disposal, Toxicological, exposure controls, accidental release and first aid measures essential to the safe use of this product.